Daily and weekly rainfall, temperature, and general weather observations (external link) on the Bureau of Meteorology website. Regional forecast information (including provincial city and fire weather forecasts) (external link) on the Bureau of Meteorology website. 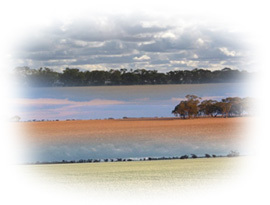 Mallee climate averages (external link) on the Bureau of Meteorology website. Ouyen (external link) on the Bureau of Meteorology website. Mildura (external link) on the Bureau of Meteorology website. The Bureau of Meteorology website provides a regular radar update (external link) covering a 256 km radius from Melbourne (external link).